It’s my turn today to share a little Easter make. I was away, with limited craft supplies, so had to think about this one! 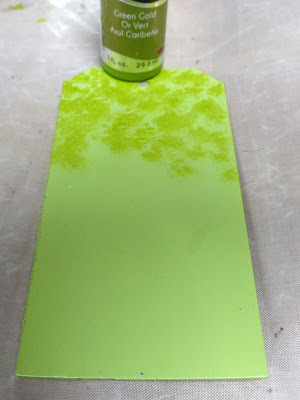 I took one of Tando’s plastic tags, which are a fab material to work with, and take paint very well. 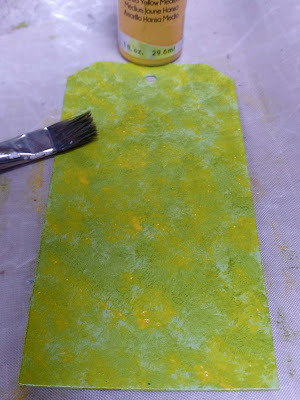 I coloured in a pale green first on one side, then stippled the whole tag with green gold. 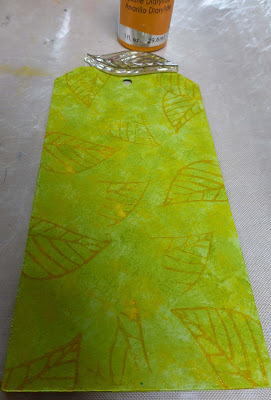 I used hansa yellow medium next, and then stamped a leaf in diarylide yellow as a background all over. 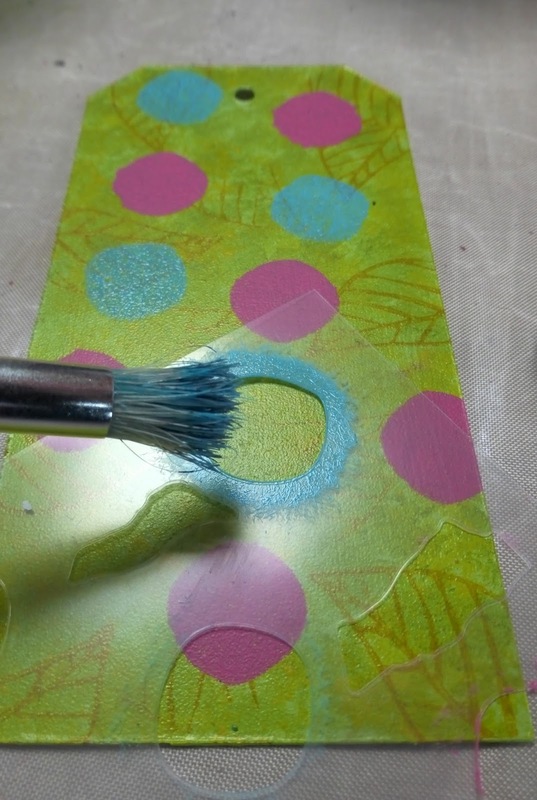 Next I took a Nathalie Kalbach stencil from her ‘Marks’ stamp set, it comes free in the set. It had some rough edged circles, which I love and thought they would work well. 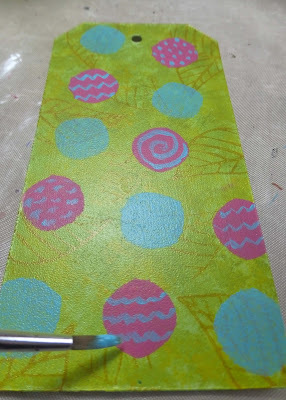 I used primary magenta mixed with tinting base to lay some circles down. I went back in with the same stencil, and cobalt teal hue mixed with tinting base again, and added more circles. I then took a fine paintbrush, and added patterns to each circle, in opposite colours, to look like easter egg patterns. 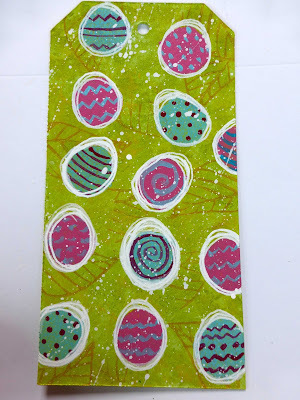 My final step was to take a white acrylic pen, and ‘elongate’ the circles with scribbles, to make them more egg shaped. On top of that I added a few white spatters all across the tag in tinting base. 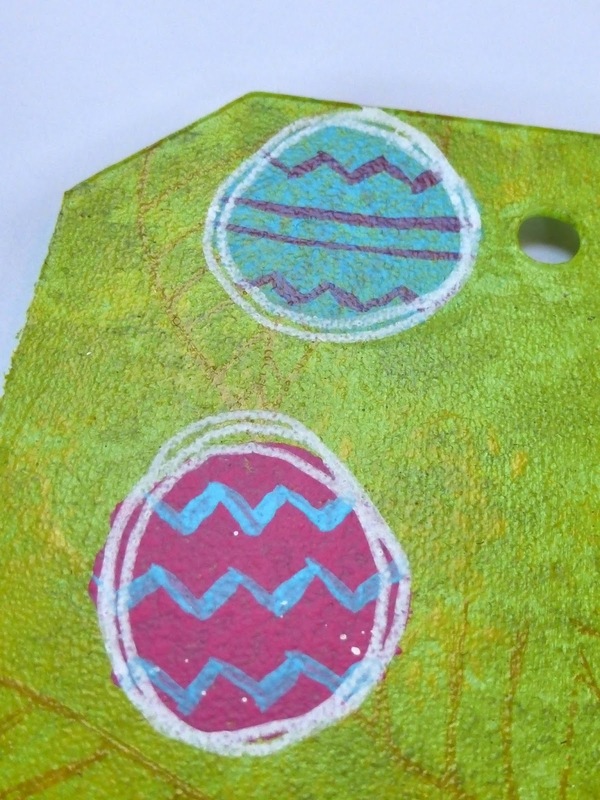 And here is my Easter Tag! 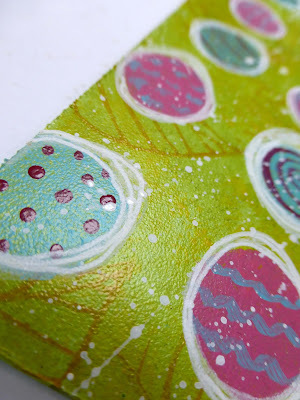 DecoArt Fluid Media Acrylics: Green Gold, Diarylide Yellow, Hansa Yellow Medium, Cobalt Teal Hue, Primary Magenta, Media Tinting Base. 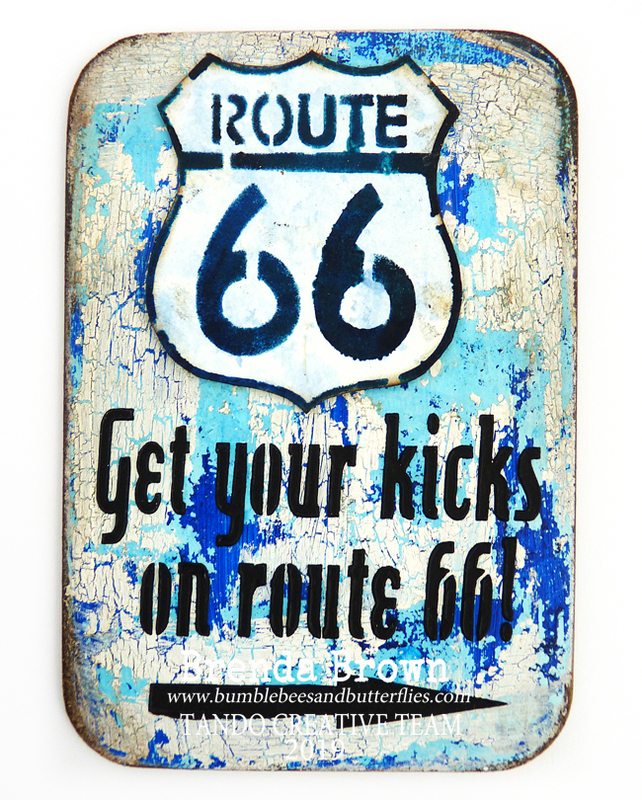 Stampendous Nathalie Kalbach 'Marks' Stamp set (with free stencil). 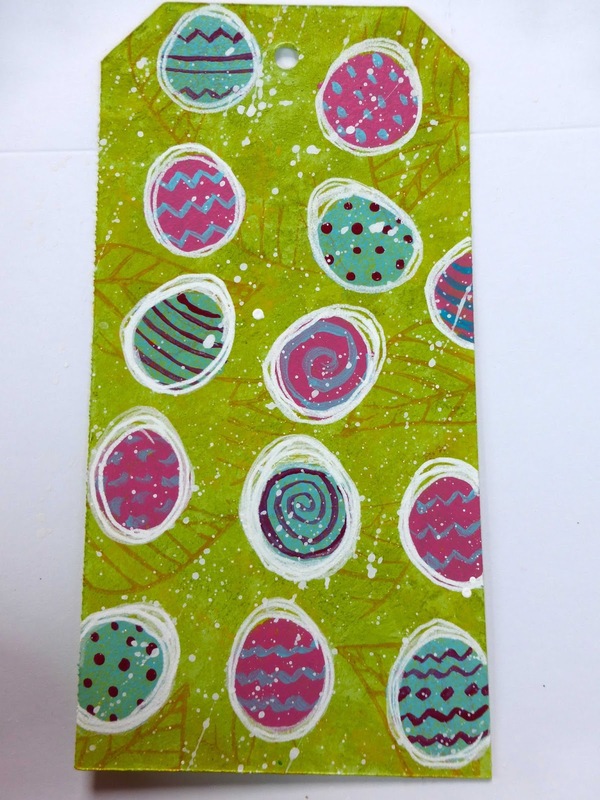 Totally Tracy - leaf stamp from 'Vines of Love' (Email Di at Tando for stock availability).